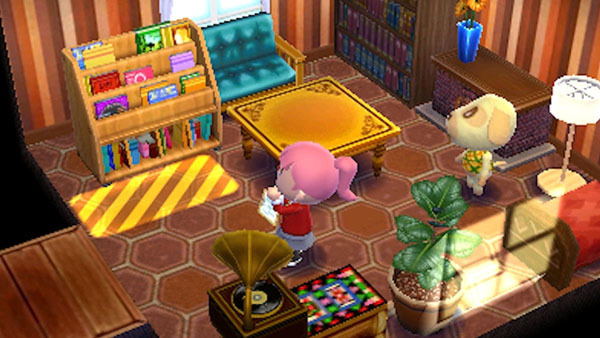 New game focused on the home design aspect of Animal Crossing. Nintendo has announced Animal Crossing: Happy Home Designer, a new Animal Crossing focused on the home-designing aspect of the series for 3DS. Due out this fall, animals will ask players to design houses for them, and it’s u p t the player to meet the animals’ requests by furnishing and decorating their homes. By tapping a new Animal Crossing series Amiibo Card (detailed below) to the New 3DS or NFC reader/writer accessory (also below), players can design a room for the specific character on the card, and scan in additional character cards to invite those characters to visit. Amiibo Cards are a new form of Amiibo launching alongside the game. The first wave will be based on Animal Crossing characters. While New 3DS systems can read them automatically, older 3DS models will need the new NFC reader/writer peripheral to read the Amiibo. It will launch the same day as the game.